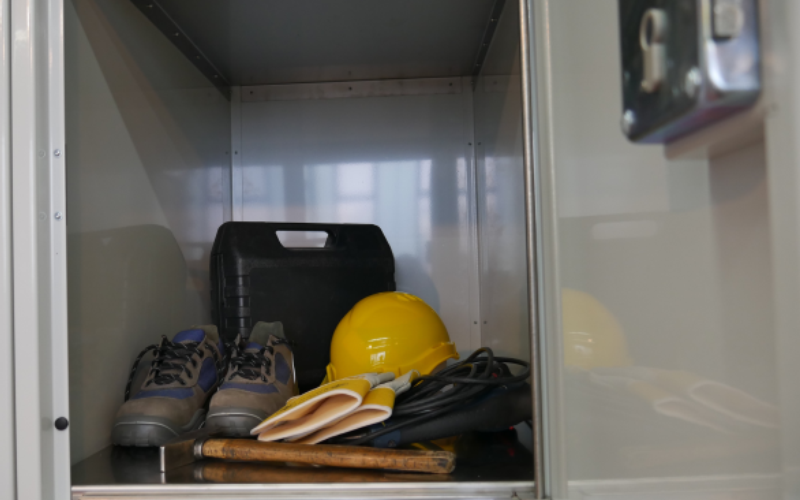 The metal locker Locksafe mechanic is particularly stable, shock and impact resistant and can therefore be used even in harsh environments. Unlike conventional sheet metal lockers, where the material thickness is usually less than 1 mm, this steel locker cabinet convinces with a 2 mm thick frame and 3 mm thick doors made of sheet steel. With this metal locker you no longer have to worry about bent doors, dents or scratches. In addition, it can also be manufactured in accordance with resistance class WK2. The steel locker cabinet consists of 3 mm thick doors, 2 mm thick frame and a 10 mm diameter hinge bar made of sheet steel. The bottom of the cabinet consists of stainless steel. The lock of Locksafe mechanic is a bolt lock with profile half cylinder. Each locker compartment is equipped with an additional penetration protection to the next compartment. The lock cylinder has a stainless steel cover plate with an engraved door number to prevent scratches caused by key use. The steel cabinet can be installed indoors as well as outdoors. 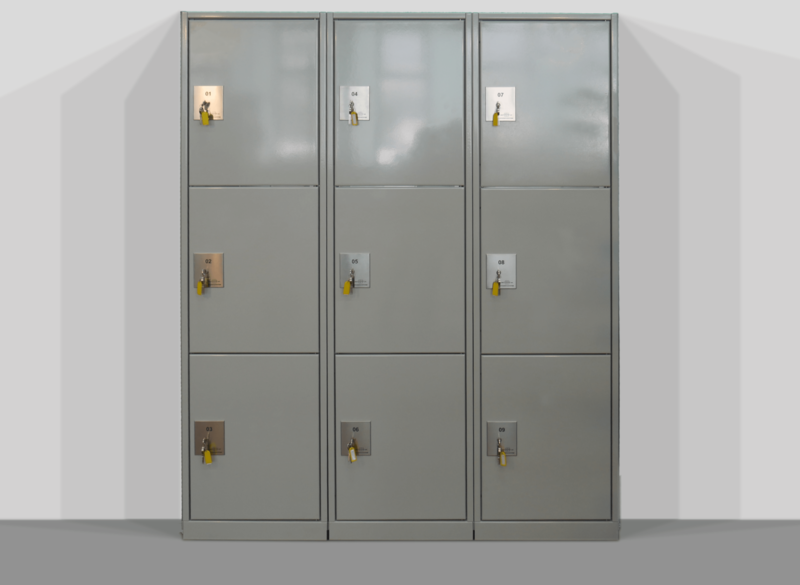 The locker cabinet can also be manufactured completely in stainless steel on request. Locksafe mechanic can be delivered optionally with a master key. A version in accordance with resistance class WK2 (burglar resistance) is possible. Powder coating in RAL colors: the locker systems are available in different colors - of course also in special colors and your personal CI design. In addition, special coatings are possible, such as UV protection, anti-graffiti or antibacterial coating. Extremely robust design - can be easily used in harsh environments. Versatile - tool locker, luggage locker, employee locker. Steel locker guarantees safe storage of goods and valuables. Easy handling and thus straightforward usability. Safe storage and transfer of goods. Extremely robust processing: protection against theft and vandalism. Steel cabinet for storage of valuables, luggage and tools. Extremely robust and resistant processing. 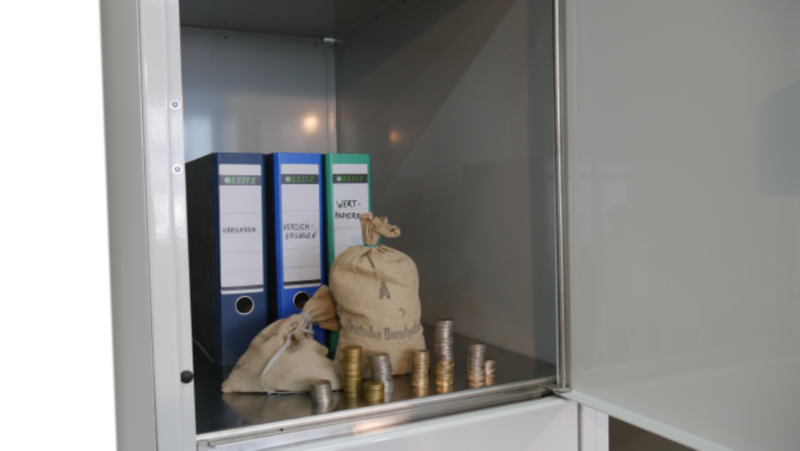 Steel locker cabinet for the storage of valuables, money and documents. Extremely robust and resistant processing. 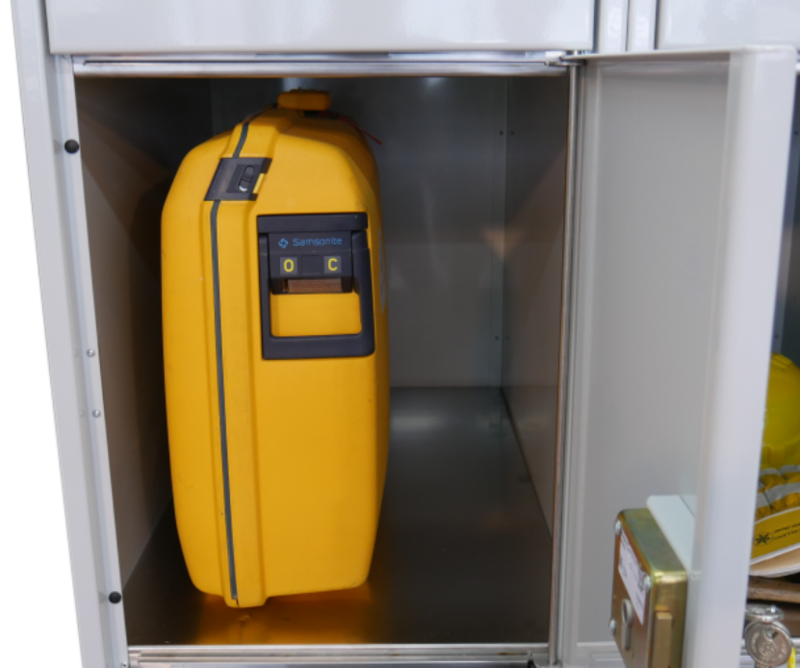 Steel locker for luggage: shock and impact resistant due to solid steel sheet processing. 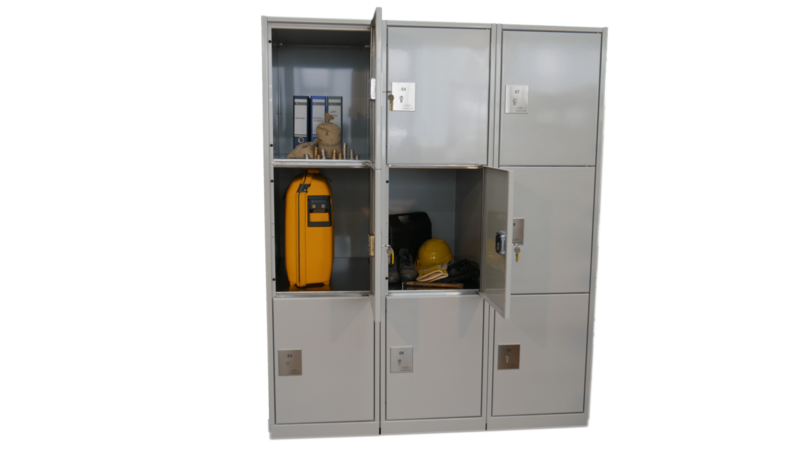 Steel locker cabinet for your employees to store valuables or as a transfer box for tools and equipment. Steel lockers for storage of valuables, luggage and tools. Extremely robust and resistant processing. 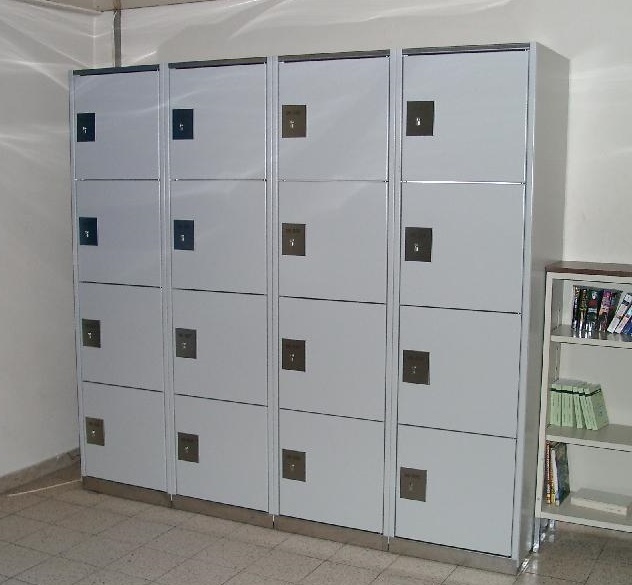 Mechanical lockers with bolt lock. Made of steel and therefore particularly durable lockers.